Design Center Philadelphia is the Philadelphia area’s largest premier source for professional interior designers, architects and builders. Independent trade-only showrooms offer access to over 1,500 of the world’s most prestigious brands in 48,000 square feet of interior design inspiration with 35 design professionals ready to assist you. 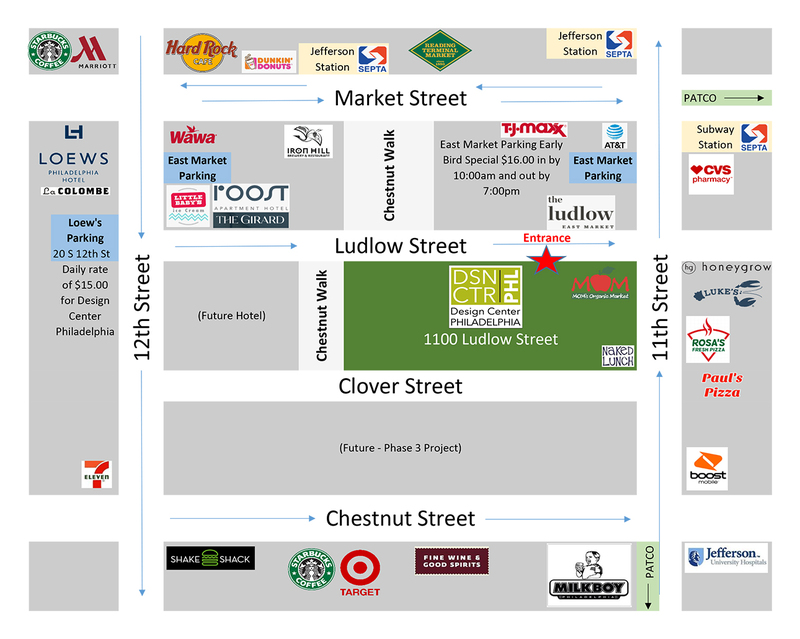 Design Center Philadelphia is conveniently located in the heart of Center City Philadelphia on Ludlow Street between 11th and 12th Streets in the East Market section, the new hub for Philadelphia’s most fashionable innovators.